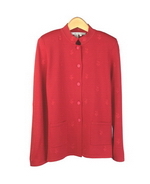 Visose nylon w/lycra Notch Collar Knit jacket-blazer in full needle knit with piping detail. Two pockets with same-color piping. 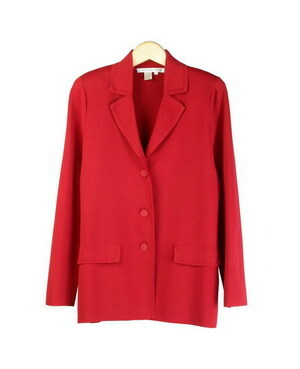 This knit jacket-blazer is good for work, meeting and traveling. It is an easy fit and comfortable jacket. Hand wash cold and lay flat to dry, then press it with steam. Or dry clean.